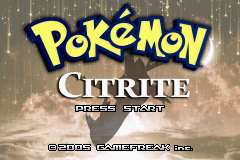 Hello and welcome to the PHO thread for my ROM hack, Pokémon Citrite! This is something I've been working on a lot since April 2015, and I still have a long way to go. 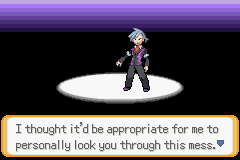 Unfortunately I was permanently banned from PokéCommunity, but don't worry about me causing trouble 'round here - in the Pokémon hacking community I'm pretty well-known as an okay dude. I even help manage RHM's IRC! 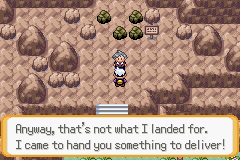 Because of all that I decided to publish my ROM hack, ASMAGIX, graphic works, and other things without the help of the PokéCommunity (damn them all to hell). Anyway, this is what you came here to see, lol: screenshots and photos! 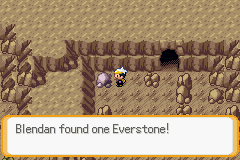 This hack is done for Pokémon Emerald. This alpha goes to the first map, and includes a fully customized 8-bit, 600-tile titlescreen and a brand-new introduction. 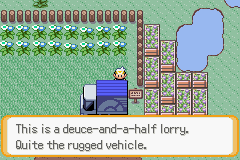 The Tohjo region, located north of Johto and northwest of Kanto, is a decentralized polisarchical confederacy in the Pokémon world. Three cities comprise the confederacy: first, Port Crimson, located on the cusp of Crimson Bay; second, Port Azure, located on the coastal brow of the Northern Prairie; and third, the Malachite Metropolis, nestled in the belly of the region, buffered by two large forests and some steppes. A fourth, informal city called the Trading Camp exists in the heart of the Grand Prairie, though it is often overlooked in light of the three gemstone metropolii. Due to the region's decentralization, a lot of instability can be found throughout. Like the governing trio, another group of developments host militarized factions in strongholds; the three go by the names of Osiris, Musa, and Drachma. A third and final trio of minor cities - Timothy, Baxtorian, and Xavier - exists as places of junction/resupply. These three trios together form a triad of the developed parts of Tohjo. Other minor points of interest include the villages of Amalthea and Qadesh, Lookout Point in northernmost Tohjo, Empire's End west of Xavier, and the Nome Ruins in the southernmost part of Tohjo. Besides the factions, there are other groups of interest present in Tohjo. The first and foremost is a conglomerate called the MEGA Corporation, which facilitates monopolistic capitalism in Tohjo through its suppliers outside the region. There is also a provisional Pokémon League based in Port Azure, with gyms located in Timothy, Baxtorian, Xavier, and the Trading Camp. While the League revolves around Pokémon, an often unnecessary amount of focus is put on the media and their own politics as well, particularly with the League Champion. The third is a foreign group called the Greater Kanto International Police, which is the aforementioned region's long arm of the law. While supposedly a legitimized organization, they possess a warped concept of justice and are credited with a lot of vigilante wrongdoings. You. A kid who lived out an existence in the Malachite Metropolis, until it suddenly went kaput. While everything around you was destroyed, somehow... you weren't! You become an anomaly in the spotlight of all manner of powers, both weak and strong, both smart and dumb, and both good and bad... so watch out! He's the CEO Chairman of the MEGA Corporation, and he doesn't play around. He's sharp, he's loaded, and he's wise. The ultimate counsel for a lucky fellow such as yourself. Has a vast array of resources and manpower at his disposal, lives without a concept of money, and protects what's his. He has quite the intellect, and quite the power. Wants to help you out! 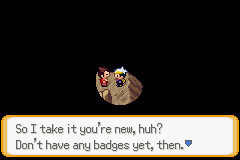 A lot like Looker, he's a globe-trotter for the International Police... for the long arm of Kanto, that is. One of the most causal guys you'll see, he always dresses light and always has a mystery on his mind. As interested in work as he may be, he's not that skilled at cracking things - his strong suit is his people skills. Wants to watch your back... just like Hinkage! Wait, what? 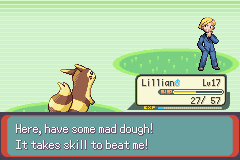 He's the current Champion of Tohjo's Pokémon League - a provisional one, anyway. Practically revolves around the public's eyes. Very focused on the media, and of his image. 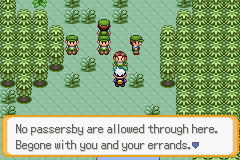 Also a popular figure in regional culture - often praised as a “people's hero” and a champion beyond Pokémon competitions. While his actions often revolve around popularity and morality, in his mind they're for his idea of perfection. Runs into the player a bit late to things, and... makes a mess of things? Play to find out! 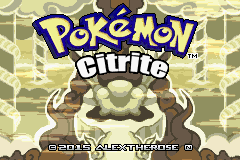 Bela, Team Fail, linkandzelda, and all other regulars of RHM / #rh / our community for tips and suggestions for Citrite. 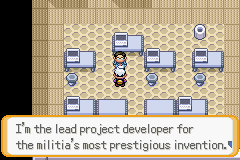 Shiny Quagsire, Touched, cosarara97, daniilS and other developers in our group, to keep me motivated for developing software. Last edited by Alex; 11th February 2016 at 02:58 AM. Reason: wrong download! Wow looks amazing can't wait for thiis keep up the good work! Love that Yellow(golden?) Lati. Would you mind telling me more about it? 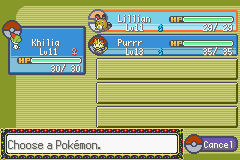 so, is meowth one of the starters, of did you just catch it? And why are there strongholds? what is the story behind them? this sounds interesting. I've updated the OP with drastic new content, all imported from the totally new CSS from WaH. Text was Google Translated back into English and fixed up by me. Looks good man! I'll be checking once in a while to be sure I can play it as soon as possible!